As part of our continuing work to keep our clients and readers well-informed we’re bringing you another great article from our friends at Hine Solicitors about Will writing. It’s not the most glamorous of topics but it is important for your own peace of mind and the security of your nearest and dearest. Not only are we reluctant to think about death, dying and funerals but the discussion of wills makes many of us feel distinctly queasy too. This may account for why two-thirds of us die without making one. There will be any number of reasons why you have avoided doing so or think it’s unnecessary but here are a few reasons why perhaps you should at least give a few minutes thought to the subject. In the majority of cases a simple, well written will provides clarity about who is responsible for sorting out your affairs and who will benefit from what is left over after all the bills have been paid. It will be of comfort to your loved ones to know you have thought things through and not just left them to chance. With a will, it is you who decides who gets what and can include bequests to a favourite charity or good friend. That would not be the case if you rely on the statutory intestacy provisions which are in place for those who die without a will. Modern families are more complex than those of our grandparents which means that rather than being married to (or in a civil partnership with) your partner, you may be cohabiting. Intestacy provisions provide for your spouse, civil partner and blood line but not for your cohabitant or any step-children. Also, as a result of improvements in medical care and treatment, children with disabilities can live long into their adult years but may never have the capacity or ability to manage money so arrangements should be put in place for money to be looked after on their behalf. Offspring with serious addictions can also be protected by these means too. So if you are still reading you may now be thinking – yes, I really must do this but how should I go about it? 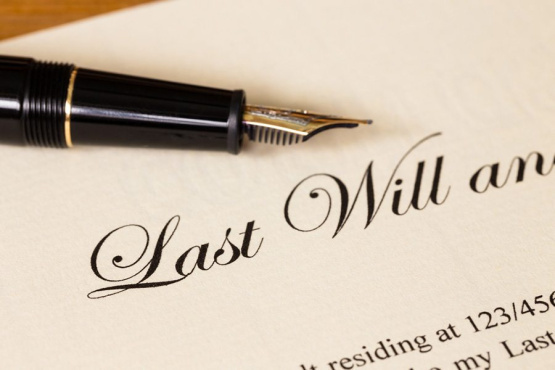 Our team of solicitors will quite happily talk to you about wills, we will discuss and advise you as to your options and make sure that you get the will you want. We have a specialist Law Society accreditation – Wills and Inheritance Quality Scheme (WIQS) – which illustrates that we follow best practice and procedures to meet the highest standards of technical expertise and client service in providing wills and probate advice to clients. So we hope you now feel sufficiently encouraged to get on and make that will; don’t keep leaving it at the bottom of your ‘to do’ list, instead get it on the ‘done’ one and relax. To encourage you further we are offering £50 off the price of our wills if you quote TODO17 when you get in touch with us. This offer is valid until the end of November 2017. If you would like to get in contact with Hine Solicitors send them an email or call one of their offices in Gerrards Cross 01753 482400 or Beaconsfield 01494 685588. If you would like to talk about your property options you can also contact your award-winning estate agent in Beaconsfield via email or call our lettings team on 01494 685518 or our sales department on 01494 680018. You can also follow us on Facebook and Twitter to stay up to date with all the property and local news.